June 06, 2016 (LBO) – Members of oneworld alliance Qatar Airways and SriLankan Airlines have strengthened their cooperation with a new bilateral codeshare relationship which will offer customers additional convenience and flexibility. Qatar Airways said in a statement that both airlines will codeshare on each other’s operations between their hubs – Qatar Airways’ thrice daily Airbus A340-600 operations to Colombo and SriLankan Airlines’ daily Airbus A330-300 operations to Doha. “The combination of four daily flights between Doha and Colombo will offer customers additional convenience and flexibility,” the statement said. For the first time, passengers travelling to Colombo on Qatar Airways will be able to connect to the popular holiday hotspot Male, in the Maldives. Beyond Doha, SriLankan Airlines passengers can transit through Doha’s Hamad International Airport and travel onwards to 20 leisure and business destinations subject to regulatory approvals. The list includes Europe, USA, Middle East and Africa, including Amsterdam, Barcelona, Paris, Copenhagen, Moscow, Rome, Frankfurt, Geneva, Manchester, Milan, Oslo, Sofia, Stockholm, Vienna, Zurich, New York, Los Angeles, Miami, Bahrain and Cape Town. “Qatar Airways is pleased to have reached a code-sharing agreement with an established oneworld carrier like SriLankan Airlines,” Qatar Airways, Group Chief Executive Akbar Al Baker said. Qatar Airways said travellers will also benefit from accruing frequent flyer miles, together with other oneworld privileges. ශ්‍රී ලංකාවේ ජාතික ගුවන් සේවය වන ශ්‍රීලංකන් ගුවන් සමාගම පැරීසිය සහ ෆ්රැන්ක්ෆර්ට් වෙත සිදුකළ ගුවන් ගමන් මෙහෙයුම් මෙම වසරේ සීත සෘතු සමයේ සිට අත්හිටුවීමට කටයුතු කර ඇත. ඒ අනුව ෆ්රැන්ක්ෆර්ට් සහ කොළඹ අතර අවසන් ගුවන් මෙහෙයුම (යූ.එල් 553/554) ඔක්තෝබර් 30 දා ක්‍රියාත්මක කිරීමට නියමිත අතර නොවැම්බර් මස 6 වන දින (යූ.එල් 563/564) පැරිස් හා කොළඹ අතර ගුවන් මෙහෙයුම් කටයුතු අවසන් වනු ඇත. දිගින් දිගටම සිදුවන මූල්‍ය අලාභය හේතුවෙන් ශ්‍රී ලංකා රජය තවදුරටත් ගුවන් සේවාව වෙනුවෙන් මුදල් ලබාදීම අත්හිටුවීමට තීරණය කර තිබේ. 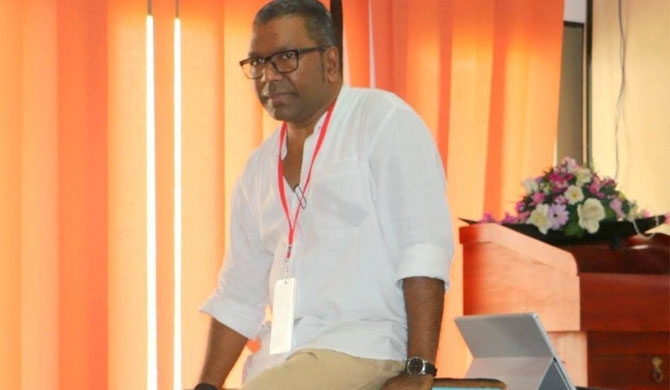 ගුවන් සේවා මූලාශ්‍ර වලට අනුව ගුවන් ගමන් ජාලය නිරන්තරයෙන්ම ඇගයුමට ලක්කිරීම සහ එම වෙළඳපොළ වෙනස්වීම් නිරතුරුව අධ්‍යයනය කිරීමෙන් අනතුරුව වඩා ලාභ ඉපයිය හැකි ගමන් මාර්ග තොරාගැනීම සඳහා මෙම පියවර ගෙන තිබේ. ඉන්ධන මිල පහත වැටීම ගුවන් සමාගමේ වර්ධිත කාර්ය සාධනය (improved performance) සඳහා ධනාත්මකව බලපෑ ඇති අතර ගුවන් සමාගමේ 2015/16 මූල්‍ය වසරේ ආදායම් පසුගිය වසර හා සැසඳීමේ දී පහත වැටීම නිසා මෙම ඉන්ධන මිල පහත වැටීමේ ප්‍රතිලාභය ගුවන් සමාගමට අහිමි වී ඇත. මේ සඳහා මැද පෙරදිග ගුවන් සේවා හි කොළඹ වෙත සිදුකරන ගුවන් ගමන් ධාරිතාව වැඩිකිරීම ද යුරෝපීය වෙළෙඳපොලේ ගුවන් ගමන් ගාස්තු අඩු වීම ද අනෙකුත් ගමන් මාර්ග හා සැසඳීමේ දී යුරෝපීය ගුවන් ගමන් ජාලය අලාභදායි වීමට බලපෑ ඇත. ඩොලරයට සාපේක්ෂව යූරෝ අවප්‍රමාණය වීම හේතුවෙන් මෙම ගැටළුව තවදුරටත් උග්‍ර වී ඇත. කෙටිකාලීන වශයෙන් ආදායම් නැවත උත්පාදනය කරවීමේ හැකියාවක් මෙම යුරෝපා ගුවන් ගමන් ජාලය තුළ නොමැති බව ගුවන් සේවා මූලාශ්‍ර වලින් පෙන්වා දේ. ශ්‍රීලංකන් ගුවන් සමාගම දෝහා සහ අබුඩාබි වෙත දෛනික ගුවන් ගමන් සිදුකරන අතර එටිහාඩ් සහ කටාර් එයාර්වේස් සමග ශක්තිමත් සංකේත හුවමාරු ගුවන් ගමන් සබඳතා පවත්වයි. මෙමගින් යුරෝපීය ගමනාන්ත වෙත එනම් පැරිස් සහ ෆ්රැන්ක්ෆර්ට් වෙත වඩාත් පහසු ගුවන් ගමන් සබඳතා ලබාදීමට ගුවන් සමාගම කටයුතු කරනු ඇත. මේ අනුව ලන්ඩන්, ශ්‍රීලංකන් යුරෝපා මෙහෙයුම් සඳහා පිවිසුම් ගමනාන්තයක් ලෙස ඉදිරිටයත් රැදී සිටිනු ඇත. ගුවන් සමාගමේ අති නවීන A330-300 ගුවන් යානා යොදාගනිමින් ලන්ඩන් වෙත නොනවත්වා දෛනික ගුවන් ගමන් සිදුකිරීමට ගුවන් සමාගම කටයුතු කර ඇත. 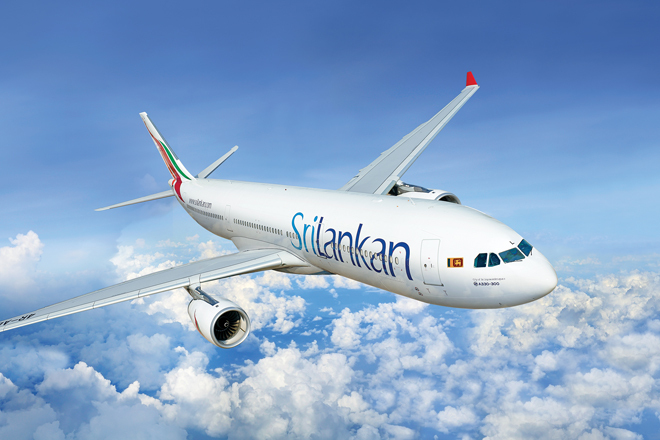 මේ නවතම පුළුල් බඳ සහිත A330-300 ගුවන් යානා මගින් අභ්‍යන්තර පහසුකම් සහ සැප පහසුව ද ,උසස් තාක්ෂණික ලක්ෂණ ඇතුළත්ව ගුවන් මගීන්ට විශේෂිත වූ පියාසර අත්දැකීමක් ලබාදෙනු ඇත. ඉන්දීය උප මහාද්වීපයේ ද, මැද පෙරදිග හා ඈත පෙරදිග ගුවන් මෙහෙයුම් තවදුරටත් පුළුල් කිරීම සඳහා එහි ශක්‍යතාවය ගවේෂණය කිරීමටද කටයුතු කර තිබේ. A Singapore Airlines (SIA) flight to Milan caught fire early Monday morning (Jun 27) while making an emergency landing in Singapore, but all passengers on board escaped unharmed. Flight SQ368 departed Changi Airport for Milan at 2.05am on Monday. The flight was forced to turn back to Singapore after an engine oil warning message, SIA said in a statement. The plane's right engine caught fire after the aircraft, a Boeing 777-300ER, touched down at the airport at around 6.50am, SIA said. Firefighters put out the fire and there were no injuries to the 222 passengers and 19 crew on board. Have you actually ever noticed, when you’re sitting at the window seat of a plane, that there’s a little hole at the bottom of the window? You may or may not have ever wondered why, but the answer is equally fascinating. It turns out that the little hole in the bottom of your airplane window is actually a very important safety feature. Plane windows have three different tiers: outer, middle and inner panes, all of which are made of a superstrong synthetic resin. The inner layer is the ‘scratch cover’, which stops people from being able to poke the real window. It’s the middle pane that has the mysterious little hole. It’s called a breather hole and it’s used to regulate the amount of pressure that passes between the window’s inner and outer panes. Cruising at 10,600 meters (35,000 feet), the pressure is around 1.5 kilograms (3.3 pounds) per square inch. This is too low for the human body to stay conscious, so the pressure is artificially maintained at around 3.5 kilograms (8 pounds) per square inch. But of course, if you increase pressure inside, the structure has to be strong to hold the difference between the external pressure and internal pressure. The little hole allows pressure between the air in the passenger cabin and the air between the outer and middle panes to equilibrate. If the hole weren’t there, the windows would either ‘implode or explode’. In short, the system ensures that the outer pane bears the most pressure so that if there were a situation that caused added strain on the window, it’s the outside panel that gives out. The breather hole also allows circulation between the window panes. It let’s warm air in between the two panes keeping the outer window from getting fogged up from the really cool air outside. Since its commercial introduction in 2007, the Airbus A380 has brought a long-lost sense of glamour back to travel. Its first-class cabins feature private showers and buttery leather armchairs. It sports in-flight lounges where bartenders mix bespoke cocktails. A broad staircase reminiscent of a 1920s ocean liner links the two decks. Financially speaking, it’s a disaster of similarly grand proportions. An initial flood of interest from airlines has turned into a slow drip, and Airbus is leaning heavily on one customer, Emirates, for sales. Not a single U.S. carrier has bought one, and Japanese airlines, among the biggest cheerleaders for huge planes, have taken just a handful. Airbus has delivered 193 A380s—early on it predicted airlines would buy 1,200 supersize planes over two decades—and has only 126 in its order book, to be built over the next five years or so. Worse, many orders appear squishy, because airlines are shifting away from superjumbos. As the aviation world starts gathering on July 11 for the Farnborough International Airshow in England, where carriers often announce big orders, there’s little indication any A380 contract will be unveiled. 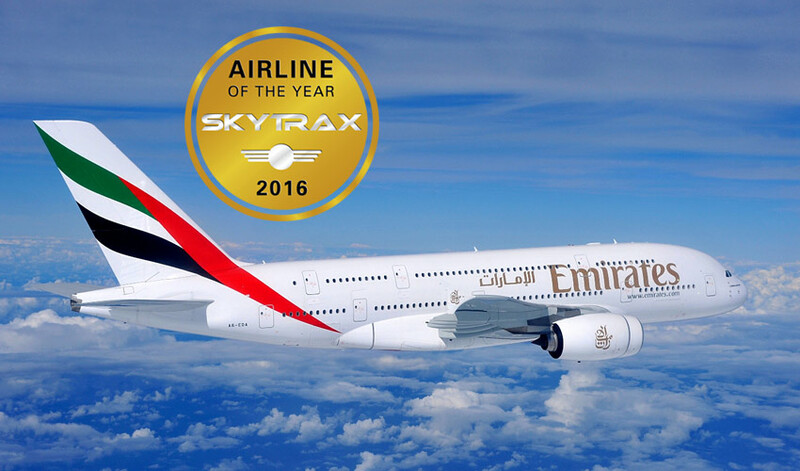 This is the fourth time Emirates has won this top prize in the awards history. The airline also retained its stranglehold on the World’s Best Inflight Entertainment category with another strong performance. In addition to these top awards, Emirates improved its position across a range of awards categories performing well in First, Business and Economy Class survey sections and achieving a top-10 finish (10) in the World’s Best Cabin Staff category. Award-winning airlines at the 2016 World Airline Awards include Aegean Airlines, Aeroflot, Air Astana, Air France, Air New Zealand, AirAsia, AirAsia X, ANA, Asiana Airlines, Austrian Airlines, Azul – Brazilian Airlines, Bangkok Airways, Cathay Pacific, Copa Airlines, Emirates, Ethiopian Airlines, Etihad Airways, EVA Air, Finnair, Garuda Indonesia, Hainan Airlines, Hawaiian Airlines, IndiGo, Jetstar Airways, LAN Airlines, Lufthansa, Norwegian, Plaza Premium Group, Porter Airlines, Qantas, Qatar Airways, Royal Air Maroc, Singapore Airlines, Sky Airline, South African Airways, Spring Airlines, Star Alliance, Thai Airways, Thomson Airways, Turkish Airlines and Virgin America. Emirates & Qatar dazzle people with Gizmos but Singapore Airline is unmatchable. We Made It to the List Finally ! කිත්සිරි ද සිල්වා wrote: We Made It to the List Finally ! Happy " No Go " lucky ! kith, have you seen the film 'flight (2012)'. Super film and flawless acting by Denzel Washington. You should have watched it. Was he drunk then ? CK wrote: kith, have you seen the film 'flight (2012)'. Super film and flawless acting by Denzel Washington. You should have watched it. කිත්සිරි ද සිල්වා wrote: No. yep. that's the story. must watch film. The 300-seater SriLankan flight from Doha to Katunayake has been provided with only five blankets, according to reports reaching Sri Lanka Mirror. As a result, passengers of one flight faced severe inconvenience as there were many small children among them. When inquired, the officials have said the blankets provided have been reduced as a cost cutting measure. Not even the cockpit has been provided with a blanket. Meanwhile, business class passengers of SriLankan flights are offered a plate of only 10 cashews each with the customary alcoholic drink provided to them. This is said to be yet another cost cutting measure. Looks more like some saboteurs at work successfully than real cost cutting effort to me. Car are not yet but soon we have to get there before it is too late. (Some cars have Gizmos powered by Solar). Emirates plane crash-lands at Dubai airport, all passengers evacuated. කිත්සිරි ද සිල්වා wrote: Emirates plane crash-lands at Dubai airport, all passengers evacuated. Yes, their initial and recurrent training for both ground and flying crews are far superior than most in the region. (Getting almost 300 Malabaris out of the aircraft in 90 seconds is not a joke). Rana wrote: one of safest airline. I have a serious question as a passenger. if pilot decide an emergency evacuation what will happen to our hand baggage and checked baggage?? කිත්සිරි ද සිල්වා wrote: Yes, their initial and recurrent training for both ground and flying crews are far superior than most in the region.